This year many rifle manufactures are offerings rifles complete with Magpul furniture with only the receiver being proprietary to the firearm. 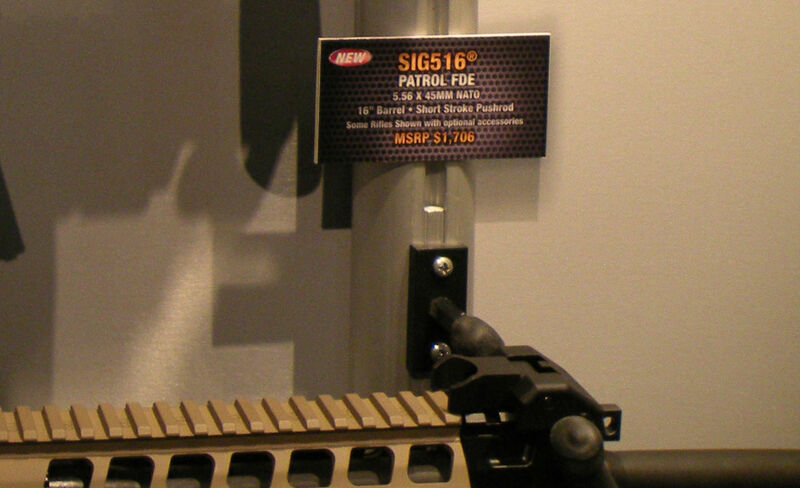 SIG Sauer is following a similar concept with their SIG 516 Patrol rifle, however they are only switching out their in-house product with a Magpul MOE stock, pistol grip, and PMAG. They will maintain their own flip sights and M1913 quad rail. 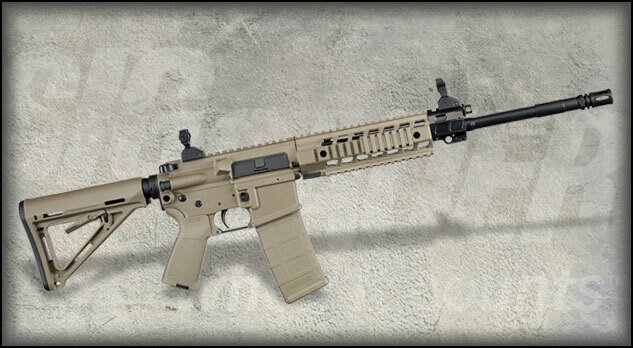 One new offering for the 516 Patrol will include an OD Green Magpul selection with the remainder of the rifle in black. However, the secondary selection goes to the next level and will integrate a Cerakote® finish in Flat Dark Earth on the receivers and handguard to match the colors of the FDE Magpul accessories. Obviously the latter has some appeal when it comes to avoiding the DIY project, but don't expect much savings for the off the shelf inclusion of Magpul products. The cost of swapping out the stock furniture on the original for your own custom work will probably not be there. This approach of immediate inclusion seems to be geared towards those that don't want the hassle implied with customization. It all comes down to options and immediate gratification, which plenty of people are happy to lay down the extra buck. Be warned, this photo may hurt a bit.